Cherokee County, GA is known as being the community “Where Metro Meets the Mountains.” Only 45 minutes true north of Atlanta, Cherokee County, Georgia is enjoying a boom of population growth. With families and new residents looking for the comfort of rural and suburban neighborhoods and the convenience of easy access to the Atlanta metro area, Cherokee County, Georgia is seemingly growing by the day. According to Kim Whatley, Cherokee County Aquatic Center Aquatics Division Director, one of the biggest challenges in engaging citizens in such a large and growing community, is making them aware of everything the county’s recreation and parks agency has to offer. It is a challenge even for an Aquatics Division that manages three pool centers and an outdoor mini waterpark. For a recreation and parks agency with so much to offer its community, Whatley and her staff rely on the flexibility and robust functionality of the CivicRec® recreation management software solution from CivicPlus® for such critical aquatic center management needs as point-of-sale transactions and membership registrations. 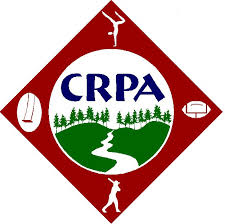 The Cherokee County Recreation and Parks Agency, has relied on CivicRec (formerly Rec1) for many years. When Whatley joined the Aquatics Division in Cherokee County, she was pleased to find the existing CivicRec recreation management software was easy to use. “I have used other recreation management platforms, so for me, making the transition CivicRec was intuitive because it’s so user-friendly,” said Whatley. Today, the Aquatics Center uses CivicRec to meet a variety of its recreation and facility management needs. Whatley says that Cherokee County’s citizens have shared positive feedback on the latest version of CivicRec and the County’s new Recreation and Parks Agency website. For Whatley, CivicRec’s ease of use and intuitive functionality sets it apart from other recreation management solutions available to local governments. To learn more about CivicRec and how it can help your parks and recreation department to streamline operations and facility management, click below to take a self-guided demo of our powerful software.